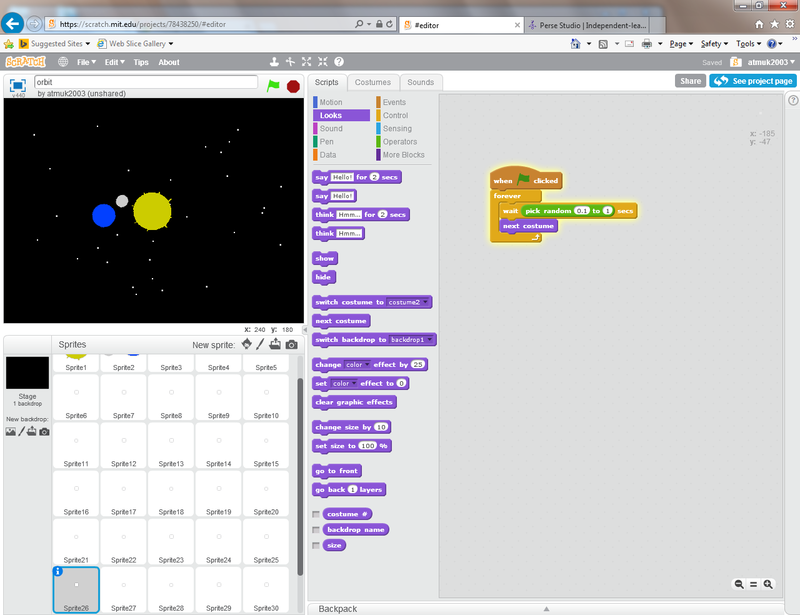 In this Scratch project, I tried to make the Earth orbit the Sun and the Moon to orbit the Earth. To get the Moon to orbit the Earth whilst it was orbiting the Sun was hard, everything else was easy. I made different costumes for a single sprite which contained both the Earth and the Moon with each costume rotated a little amount. The script then updates the costume used at each point to create the rotation effect.